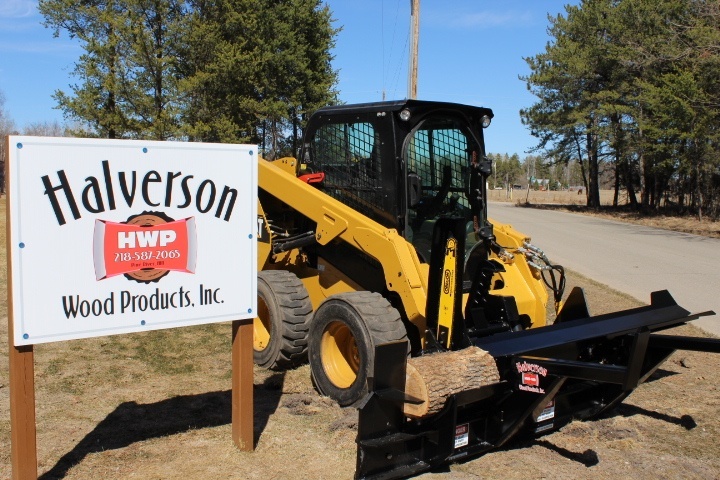 Halverson Wood Products takes great pride in offering a one-of-a-kind innovation that revolutionizes firewood processing. 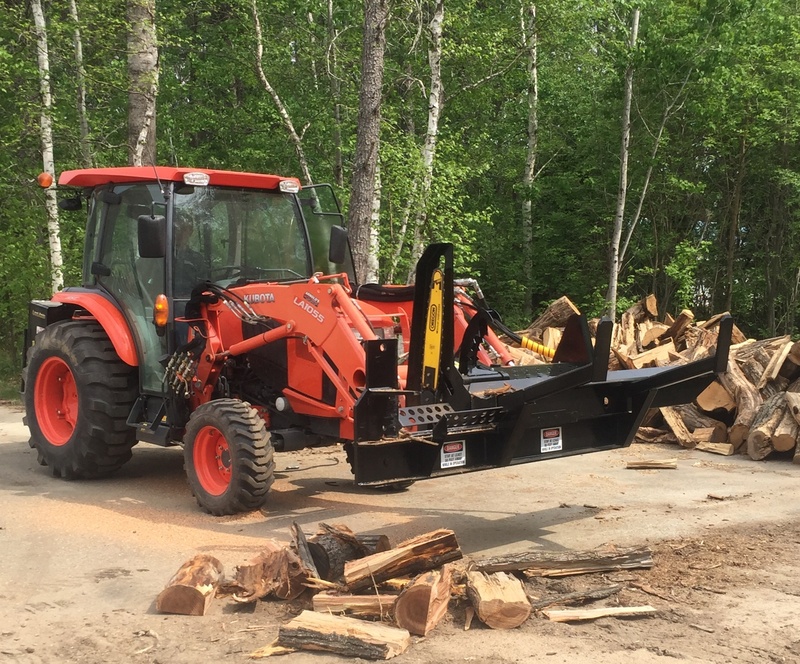 Our all-in-one skid steer loader firewood processor attachment is a simple, rugged, and cost-effective machine that is specifically designed to help save time and money in processing wood. Manufactured in our facility in Pine River, MN, our equipment is 100% made in the USA! Glen Halverson started the design in his shop in 2007 after working in the logging industry for most of his life. His goal was to develop a firewood processing system that was economical, easy to use, and very dependable. This one man, in cab operation, is both safe and comfortable, in any weather. You can do the work quickly without expensive additional equipment and manpower. With continuous design improvements over the years and an unwavering commitment to producing quality machinery, we have produced reliable equipment which we now offer... the HWP-140B and HWP-120 Firewood Processors. Halverson Wood Products is strongly dedicated to making firewood processing easier and more affordable. In the past, cutting and splitting wood has always required either many tools or expensive equipment. This is why we are proud to offer a top-of-the-line machine that brings convenience and cost efficiency to wood processing. 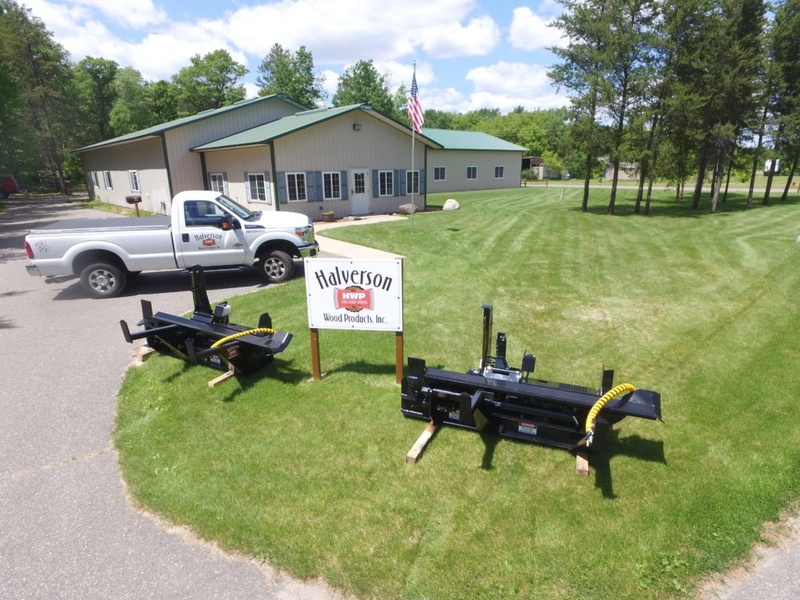 Halverson Wood Products has the answer for homeowners, farmers, resort and estate managers, excavators, cut firewood dealers, tree service providers, and just anyone looking for the dream firewood processing machine. Offering a compact design and multi-functionality, our firewood processor will give you years of convenient wood cutting and splitting from the comfort of your cab! No matter the weather, you can count on our equipment to get the job done.